Anna Pauline Murray chose the name Pauli to reflect what she called her “he/she personality.” She was ambitious professionally, outspoken politically, and personally attracted to women, all traits she ascribed to men. She was more comfortable dressed in pants and she sought hormone treatment to help her resolve her conflicted gender identity. “Why do I prefer experimentation on the male side, instead of attempted adjustment as a normal woman?” she asked Dr. Titley in a 1937 memo during a hospital stay. She embraced her female identity later in life and became an outspoken feminist and champion for women’s rights. 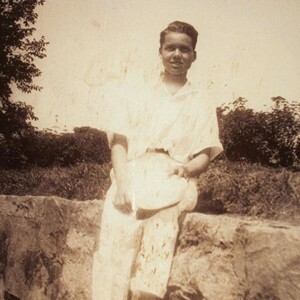 Pauli Murray as The Dude, 1931, from her album, The Life and Times of an American called Pauli Murray. Photo courtesy of Schlesinger Library, Radcliffe Institute, Harvard University. 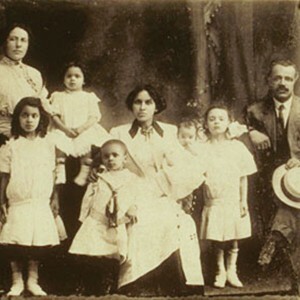 Pauli Murray’s family tree included African Americans, whites, and American Indians. Following the customs of her time, Murray was identified as African American but she often identified herself as mixed race. “In a world of black-white opposites, I had no place.” Murray wrote about her childhood, “Being neither very dark nor very fair, I was a nobody without identity.” As an adult she created a powerful identity that embraced both her black and white ancestors. Agnes Fitzgerald Murray and William Murray with five of their six children in Baltimore, MD. ca. 1912-1913. Photo by Arthur L. Macbeth, courtesy of Schlesinger Library, Radcliffe Institute, Harvard University. 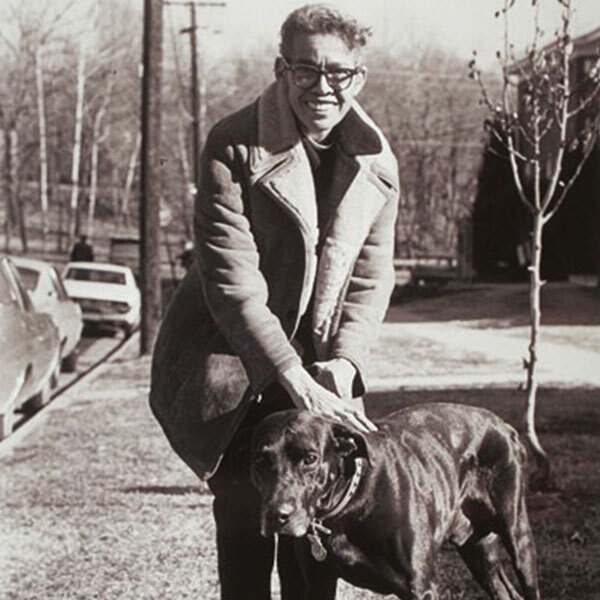 Pauli Murray with her dog, Roy, outside of her Arlington, VA apartment, 1976. 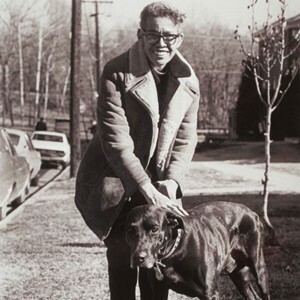 Photo by Milton Williams, courtesy of Schlesinger Library, Radcliffe Institute, Harvard University. Why is that my greatest attractions have been toward extremely feminine and heterosexual women?? Why do I desire monogamous married life as a completion? These 1937 questions to her doctor reveal Murray’s struggle with her sexual orientation. Homosexuality was classified a mental illness until 1975. 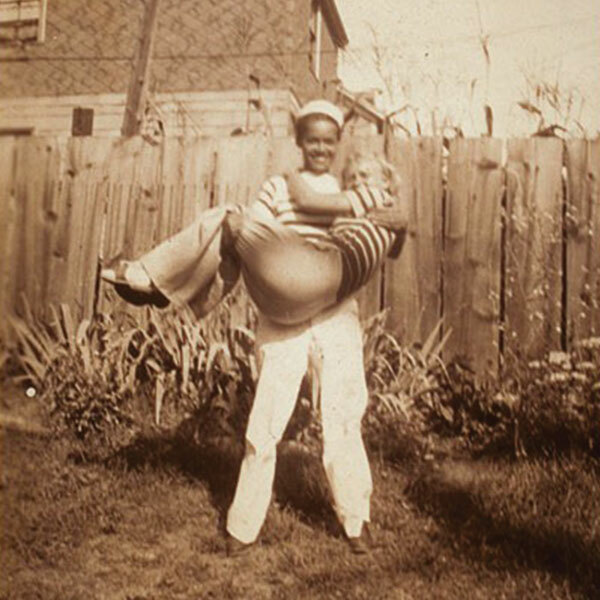 She never publicly identified as a member of the LGBTQ community but her journals and correspondence reveal her struggles and the importance of her 17 year relationship with Irene Barlow who she described as her silent partner, spiritual mate, and the closest person in her life. They are buried under the same headstone in Cypress Hills Cemetery, Brooklyn, NY. Pauli Murray & Peggie Holmes in Newport , RI, 1937, from her album, The Life and Times of an American called Pauli Murray.